Compared to the larger social media platforms like Facebook and Twitter, Snapchat is a bit like The Little Engine That Could. That’s because it’s been underestimated by numerous brands and marketers alike. They dismiss Snapchat as a viable advertising tool because of its reputation for being a purely social platform, used mostly by teenagers and young adults. But the image-sharing app has the potential to generate leads and keep profits rolling in. In the first quarter of 2018, Snapchat reported 191 million active daily users—that’s a lot of potential customers. One survey also showed that 86 percent of the platform’s users fall into the 13 to 37 age group and more than seven billion videos were viewed on it daily in 2016. Despite these numbers, businesses are still not overly fond of Snapchat. A Clutch and Smart Insights study found that only 21 percent of businesses have Snapchat accounts. Compare that to the 89 percent of companies that are on Facebook, 80 percent on Twitter, and 56 percent on Instagram. But this means that brands have fewer rivals and more room to maneuver on Snapchat. The platform is also evolving continuously, changing its user interface, featuring Stories for up to 24 hours, and adding eCommerce features. It’s also gaining popularity among older users as the teens who started using Snapchat when it launched in 2011 are becoming working adults. Snapchat developer Snap Inc. designed the multimedia messaging app for teenagers. Recent data has shown that the company is doing a great job of keeping their young demographic engaged. A Pew Research Center study revealed that 78 percent of the respondents between 18 to 24-years-old are using the app. Meanwhile, only 45 percent of the same demographic use Twitter. You can leave your competition in the dust by learning how to catch the attention of younger consumers. While a carefully worded call-to-action can be effective, creating an intriguing story or using entertaining filters in your Snap can exceedingly better. In 2016, Taco Bell rolled out a comical Snap filter that turned the user’s head into a giant taco. The Cinco de Mayo promotion generated a whopping 224 million views. Now, image how that type of attention could change your business. Snapchat has a high engagement rate. As a matter of fact, it gets almost 4 times higher engagement than Instagram. This makes it a great place to launch your latest products or to push promos. Makeup brand NARS launched their new product line to great success on the platform. The company drummed up excitement by giving followers a quick look at their new line. Snapchat allows you to create short, informal videos that look unpolished but relatable to more users. Influencer marketing is a very effective strategy. Companies can draw in a big audience because their content will be viewed by followers of the brand and that of the influencer. It’s a quick way of develop a large following in a short amount of time. One company who successfully leveraged an influencer’s popularity was Audi. The car manufacturer partnered up with the popular show Pretty Little Liars and quickly amassed 115,000 followers on its Snapchat account. You can also have an influencer take over your Snapchat account and make posts on your behalf for a specific time frame. For instance, music producer Pharrell once took over one of the Adidas events. Snapchat is all about drawing people in and engaging them. You’ll have better sales results the longer people stay on your page or account. Other social network platforms keep followers engaged by having them take additional steps, like clicking on a link to send them to another website. Snapchat keeps followers interested much longer because they have integrated eCommerce features in the app itself. For instance, users can use the app to call people, make dinner reservations, grab an Uber, or explore brands and their locations. 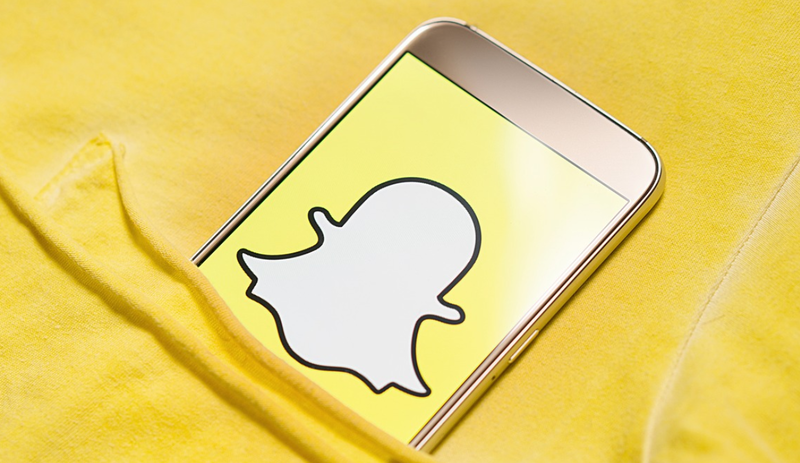 With its impressively high engagement levels, business-friendly features and low competition from other brands, incorporating Snapchat into your marketing strategy could prove to be a worthwhile investment.